We're proud to offer all guests our second-to-none concierge services. Anything you'd like to do while in the area is simply a phone call away! It is our desire that while you're here in Blue Ridge that your stay be as pleasurable as possible. Contact us today and let us help you plan your Blue Ridge activities. 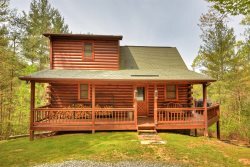 We know you'll enjoy your vacation time with us in your Blue Ridge cabin rental! Want to drive a Ferrari along scenic roads? Ride a train on a scenic railway? How about white water rafting, or massage in your cabin? What about surprsiing your significant other with a gift basket delivered to your cabin! Let us know and we will get it accomplished for you. Below is a short list of services we have for you in Blue Ridge and the Georgia Mountains. Be sure to ask about services not listed, we may be able to help! Please note: Most of our services are included in the nightly rate. Based on request some of the additional services stated above have an additional cost associated with the service. In most cases, the additional fee is, Cost + 10% or a flat rate is all that is charged. This cost can be added to your final invoice and charged to your credit card for ease of accounting on your vacation. 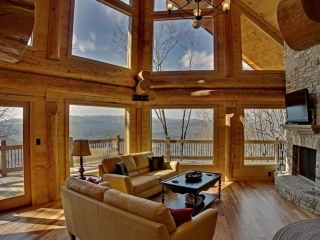 If there is anything that we can do to help you with your stay with us at Georgia Mountain Cabin Rentals just contact us and we can arrange these things to make your stay a perfect one!